Upcoming Occasions in South Africa 2019 and 2020! Keeping track of those special occasions can be hard, so here at NetFlorist, we have put together a list of all the upcoming occasions and holidays. At NetFlorist, we love helping you send online flowers and gifts to your loved ones; and for this reason, we don’t want you to miss out on any of those important holidays! So if you’re stuck, or asking yourself when is Mother's Day 2018? When is Eid, or Secretary’s Day? We’ve got the answers! When is Passover 2019? This year it begins on the 19th of April and ends on the evening of the 27th of April. Pesach or Passover is a special time of year that celebrates the deliverance of the Jewish people from Egypt. The holiday originated in the Torah. The word Pesach refers to the ancient Passover sacrifice. The holiday is a celebration of freedom! Passover is observed for a total of 7 days in Israel. Family gather to share a delicious meal that is carefully prepared according to Jewish Law. Festivities follow and gifts are fondly exchange between loved ones! Our site boasts a wide variety of Halaal food, fragrant flower arrangements, and Passover gifts. When is Easter 2019? This year it falls on the 21st of April. This Christian holiday is traditionally celebrated in South Africa over the course of four days. The long-weekend starts with Good Friday and ends with Family Day. The occasion is celebrated with the greatest joy! Easter is a time for family, friends and the Easter bunny! Families gather to share a meal on Easter Sunday, and children partake in an Easter-egg hunt organised by the adults. Honour the special occasion by surprising your loved ones with a Easter gift delivery via NetFlorist! This Mother’s Day make sure she knows that you are grateful for everything she has done for you. When is Mother's Day 2019? This year it falls on the 12th of May! The annual event is celebrated on different dates in the calendar, depending on the country. Spoil your Mom this Mother's Day in the best way possible - with gifts and flowers! Celebrate motherhood, maternal bonds and the overall influence mothers have on society. Every mother is unique and we've kept this in mind when planning our Mother's Day gift range. Our aim, each year, is to cater to a variety of personality types. Rest assured that NetFlorist has the best Mother's Day gifting solutions for you! For those of us not in the know, Eid is a major Islamic festival celebrated all around the world. When is Eid 2019? This year Eid al-Fitr falls on the 4th and 5th of June! The Eid festival marks the end of Ramadan, which is a month of fasting and prayer. Eid al-Fitr translates to 'festival of breaking the fast'. On the morning of the first day (of three), Muslims dress in traditional clothing and gather for prayer. During Eid celebrations, it is usually a custom to present your loved ones with Eid gifts to share in the happiness of being together. On this special occasion, Muslims also choose to donate to charity. Anyone can be a father but it takes someone special to be a dad. Show your Dad how much he means to you this Father's Day by giving him all of his favourite gifts! When is Father's Day 2019?This year it is on the 16th of June. 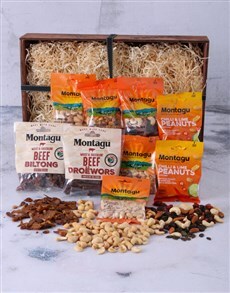 Our Father's Day range boasts a medley of Father's Day gift ideas, each perfect in their own right! Scroll through our creative Father's Day gifts, all available for either next day or sameday delivery. NetFlorist makes celebrating Father's Day in South Africa as easy as 1,2,3! When is Women's Day 2019? Every year, come the 9th of August, we celebrate Women’s Day and this means celebrating all women throughout our nation: our moms, grannies, sisters, girlfriends, wives and daughters! On 9 August 1956, tens of thousands of South African women marched to the Union Buildings, Pretoria. They were striking against proposed amendments to the Urban Areas Act of 1950. They chanted the phrase, 'Now you have struck a woman, you have struck a rock'. 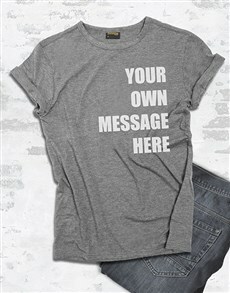 The phrase has come to represent women's courage and strength in South Africa. Take time to browse through our exclusive Women's Day range. Here you were find plenty of Women's Day gifts the ladies in your life are sure to appreciate. Honour them with a surprise Women's Day gift delivery! When is Spring Day 2019? Every year, Spring Day falls on the 1st of September. This day is considered to be the beginning of a new season. The days get longer, the weather gets warmer and leaves begin to appear on the vegetation. To NetFlorist, Spring Day welcomes fresh blooms! The scent of fragrant flowers fills the air. Floral print is the default pattern. Choose to celebrate the beginning of the season the NetFlorist way; send Spring Day gifts nationwide to your loved ones! Embrace this time of floral celebration. When is Secretary's Day 2019? This year, Secretary's Day falls on the 4th of September! This day is devoted to those hard working secretaries, PA's, administrators, receptionists, and assistants. Secretary’s Day is a day dedicated to honouring the men and women behind the scenes who hold the office together like glue! It is a floating holiday, which means that it doesn't land on the same day every year. The special occasion perfectly coincides with Spring time! Our site boasts an extensive range of Secretary's Day gift ideas to choose from. When is Grandparents' Day 2019? Grandparents' Day falls on the 8th September this year. This is a day that we can show our appreciation for all that our grandparents have done for us. After all, they are the people who not only raised our parents (can you imagine) but they also had a hand in raising us! Grandparents share invaluable wisdom, tell stories, pass on family traditions, and ultimately inform their grandchildren's identities. It goes without saying that Grandparents are incredibly important! Express your gratitude in the form of a Grandparent's Day gift. 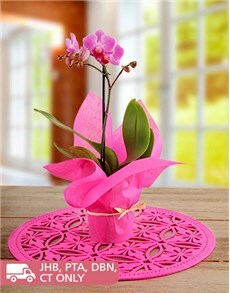 NetFlorist boasts a plethora of Grandparent's Day gift ideas! When is Rosh Hashanah 2019? This year Rosh Hashanah falls on the 29th of September and continues until the 1st of October. Rosh Hashanah is when the creation of Adam and Eve is celebrated over two days in September. The first day of Tishri is marked by the blowing of the shofar (the ram's horn). The occasion marks the ten days of penitence culminating in Yom Kippur. The special occasion signals the beginning of the New Year in the Jewish calendar. The festivities include candle lighting in the evenings, prayer services, and delicious meals and sweet delicacies. Honour this Jewish holiday by sending a Rosh Hashanah gift for delivery! When is Teacher's Day 2019? Well NetFlorist loves special days and this one is one of our faves - Teachers Day falls on the 5th of October. It’s a day that comes once a year where we can say thanks to our mentors, teachers, tutors, and everyone who has ever taken the time to teach us. World Teacher's Day commemorates the anniversary of the signing of the 1996 Recommendation. It constitutes the main reference framework for addressing teachers' rights and responsibilities. It is an important event for the entire community. Keep all of this in mind when you're searching for the ultimate Teacher's Day gift 2019, online! When is Boss's Day 2019? Well, this year it falls on the 16th of October! This day is dedicated to spoiling him or her with amazing Boss's Day gifts and messages of appreciation. The special occasion has become increasingly important throughout the years. Boss's Day isn't just about receiving gifts, it's about feeling appreciated. Send a Boss's Day gift and the gesture is sure to forge a stronger relationship between you and your employer. With a gifts for him range and a gifts for her range, let NetFlorist help you with your Boss's Day gifting needs! When is Diwali 2018? Diwali falls on the 27-28th of October this year! Diwali is a festival geared towards family and friends, gift giving, prayers and more. The Festival of Lights is an ancient festival that represents the constant battle between light and dark, good and evil. Houses are decorated with candles and colourful lights. Every year families and friends exchangeDiwali gifts and share meals with each other. Diwali is celebrated by literally millions of Hindus around the world! Participate in the celebration this year around. Visit the site ahead of time and have a look at our vast range of Diwali gift ideas! When is Halloween 2019? Halloween is celebrated on the 31st of October every year. It’s on this day that it’s believed the dead and living worlds collide and the dead can walk amongst the living. Children and adults alike celebrate the spooky occasion by dressing up in costumes. The idea is that by dressing up, you are avoiding being recognised by the 'ghosts' that come back to Earth on this day. Children traditionally go trick or treating, while adults attend Halloween parties. Celebrate the uncompensated holiday by sending someone special a Halloween gift that is sure to 'scare' their socks off! When is Christmas 2019? Each and every year, Christmas Day falls on 25th December! The special occasion is recognised on a spiritual level by Christians as the day Jesus Christ was born. Christians attend church on this day and gather with family. Christmas traditions include decorating one's home with festive season symbols such as a Christmas tree, mistletoe, candy canes and more! A delicious meal is shared between family members and gifts are commonly exchanged. Their is truly something magical about this time of year! Spread the Christmas cheer in the form of a surprise gift delivery. NetFlorist will complete the Christmas gift delivery on your behalf (and Santa's)! New Year's Day is a public holiday that celebrates the start of the new year. The day was originally dedicated the beginning of the calendar year by Julius Caesar, back in 45 B.C. New Years is a public holiday in South Africa and many choose to celebrate the occasion outdoors because of the warm summer weather. It is a popular holiday that is celebrated for up to two days straight! Enter the new year with something special for you and your loved ones. New Years Eve is on 31 December 2019. So, when is New Years Day? It's on the 1st of January of course! When is Valentine's Day 2020? February 14th is a day celebrated by millions across the world, all in the name of St. Valentine. February has long been the month of love. There are many different legends associated with the patron saint of the special occasion. Although there is still much mystery involved surrounding the martyr, one thing is for sure, St. Valentine celebrated love. Celebrate the love that you have for your friends, partner and family members throughout the course of the year, but go out of your way to do something extra special on 14 February! 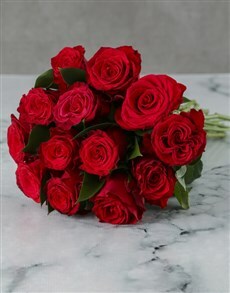 Visit NetFlorist's range of Valentine's Day gifts for him and for her to place your order. Be sure to do so ahead of time to avoid disappointment!